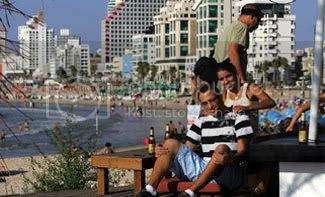 TEL AVIV, Oct. 31 (JTA) — What kind of image does the average American have of Israel? According to recent focus groups, the picture of the Jewish state is a grim one: gray and fortress-like, militarized, male-dominated, uniformly religious and generally uninviting. With the help of some of the country’s top advertising brains, the Foreign Ministry is hoping to “rebrand” Israel. The idea is to remold the country’s public image — arguably the worst in years — from a bloody cauldron of conflict to a vibrant, dynamic society brimming with night life, innovative businesses and attractive and welcoming people.